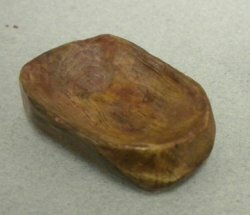 Oval wood bowl, hand carved. 1-1/2" long. Would make a good dough bowl.